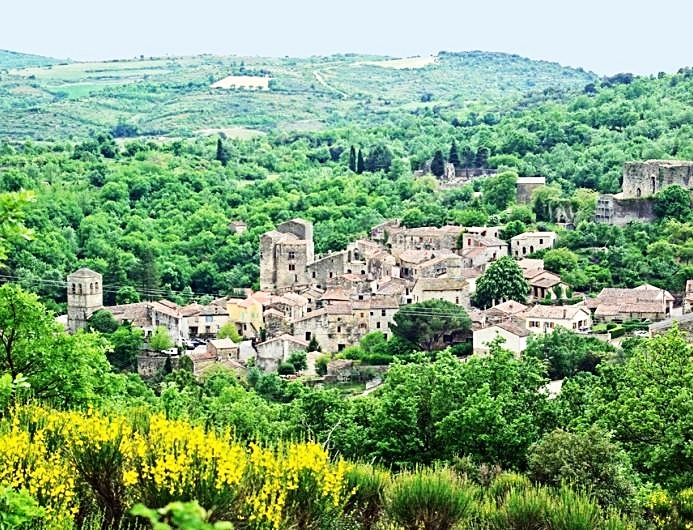 The Languedoc-Roussillon area in the South of France (now called Occitanie) has been named in Lonely Planet’s Best in Travel, so if you feel like some excitement or want to take in some of the many lovely things the local area has to offer, the following is a list of just a few of the wonderful things to do while you are with us. On your arrival you will find a welcome folder showing all the best walks, cycle routes, markets, restaurants, vineyards and beauty spots as well as handy maps. We provide bike hire at additional price of £30 per bike per week. Wild Boar Mountain is just a 5 minute drive down the hill to the local town of Bédarieux. Several streets in Bédarieux still maintain their 17th century architecture. The town features a sports centre with tennis courts and a cultural centre. Plus, they have a market every Monday throughout the year and an antique market throughout the summer. The market at Bédarieux is a mixture of local food produce and clothes. There is a very handy tourist information centre in the town. Visit one of the natural wonders of the Languedoc region. Here, you can swim in the freshwater rock pools or perhaps, if you fancy yourself a bit of a rock-climber, climb to the top of these gorgeous mountains. On the way up, you will pass by stunning waterfalls and scenery. Since this is a cycling route, you may prefer to cycle down to La Voie Verte, which is just at the bottom of the hill from Wild Boar Mountain! It should only take about 5 minutes by bike to get to. This cycle track starts in Bédarieux and actually stretches for 76km! 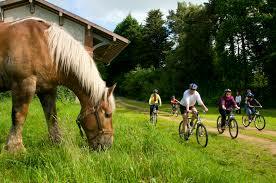 It runs along the old railway track and through the Haut Languedoc Regional Nature Park. Perhaps take a backpack with you and spend a few days cycling, exploring the many bed and breakfasts along the way. A small medieval village. Tucked away from view, a 12C tower casts a shadow onto a stone wall, and behind this wall you come across this charming inn, which is certainly worth getting to know! Here they serve good traditional food that is at one with the monastic atmosphere of the place, all vaulted ceilings and stone walls. This lovely restaurant opened in 2002 in one of the country's most beautiful medieval towns. Located at the foot of the dramatic and very beautiful Espouse mountains, the restaurant lies on the banks of the Jaur river. The restaurant is run by the Danish family, Joan and Anders Bøgeskov, whose dream it was to create a unique restaurant, using locally-sourced produce, in beautiful and enchanting surroundings. The Restaurant is open approximately from Easter to mid-November. The décor is elegant, unfussy and comfortable, a well-chosen mixture of the antique and contemporary. Dinner is always served by candlelight. The broad terrace has unforgettable views across the river to the old village, framed by the nearby Pont du Diable. Umbrella-pruned mulberry trees and several pergolas, provide shade from the summer midday sun. Here too dinner is served by lamplight. There are few more magical experiences than to spend summer evenings on the terrace, There are wonderful views across the river to the medieval village with old houses and bell tower and Pont du Diable, both from the 1200s. 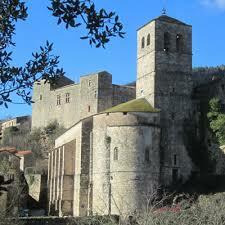 It is fully understandable why Olargues is classified as one of the most beautiful villages in France. The transformation from the old car workshop to the restaurant is great and profound. The greeting is always warmly cordial, and clients are made to feel welcome and at home and that they really matter. The service is attentive and courteous, and staff do their best to speak to guests in their preferred language. At least once a month there is live music, regularly featuring crisp cool jazz and blues artists and classical musicians play occasionally. Bédarieux tennis club is set amidst the beautiful mountains of Languedoc national park. 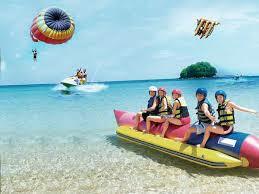 The sports grounds have a outdoor swimming pool and indoor and outdoor sports facilities. Tennis courts are normally available and free of charge. The Golf de Lamalou-Les-Bains golf club is set in the beautiful surroundings amidst the mountains of Languedoc national park. Fun for the whole family, spend an exciting day experiencing the amazing beautiful river and stunning mountains views while gliding through this scenic river with some exciting white water areas. Take a picnic and stop along the way for lunch. Enjoy a few hours canoeing or the whole day. After your canoeing down the river you will be taken back to the canoe centre by mini bus where you can enjoy drinks and snacks in the cafe by the river. Expect a very friendly welcome from Frédérique and Yannick Dugas and their whole team. Their top chef is sure to impress and you will be surprised by the unusual architecture of this ancient building. The decoration of the vaulted ceilings of the XVII ° century. The warm atmosphere and its service on terrace, everything is there to make you spend a pleasant evening. A shaded car park is at your disposal so just drive in through the gates. Translated literally, this means “the Devil’s bridge”! So, make of this as you will! The bridge dates back to the 11th century and was constructed by Benedictine monks. It was built to allow the transport of coal, which was destined for the royal glassworks in Herepian. If you intend to visit La Mare, then take your swimming gear so you can swim in the fresh water lagoons from the mountains. It truly is a tranquil setting; perhaps take a picnic and a bottle of wine to soak it all in and enjoy your time by the river. This bridge has been listed as a UNESCO World Heritage Site. Pezenas is without a doubt one of the most beautiful towns in Languedoc. Some might even say, the whole of the South of France. The medieval streets are filled with artisan shops and art galleries, making it a really cultured place. The best time to visit Pezenas is in the height of summer, when they have Friday night markets and all the shops open until midnight. Local vineyards even sell their wines on the streets! Pezenas is a real festival town; in the summer there is always something going on, whether it is an antiques markets or a theatre festival. In addition to the Friday night markets in the summer, Pezenas is famous for having one of the largest weekly markets in the South of France. Each Saturday, the market takes over the whole town and the local organic farmers market holds a fine selection of organic products that prove very popular. Pezenas is the home to many different craftsmen and today you will still find small artisans working away. The narrow streets of the town have been brilliantly preserved – there are great bijou restaurants tucked away in courtyards and alleys. 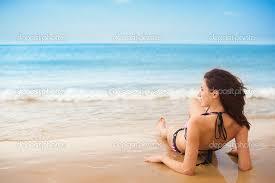 Cap d’Agde is a cute nearby town with a stunning beach with dunes. It is set around a beautiful harbour, but consists of a water park and a luna park, meaning there is always plenty to do for the whole family. 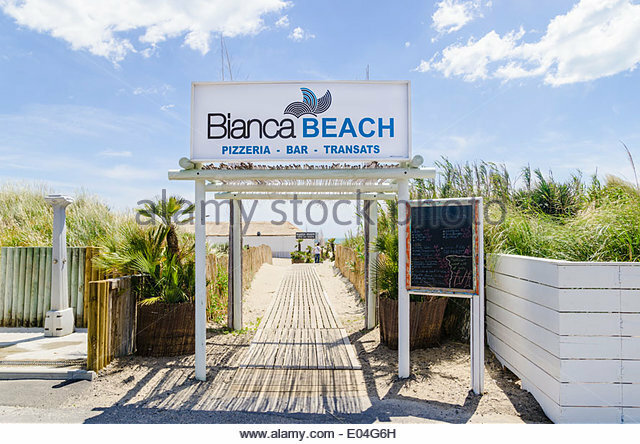 Bianca beach is a particularly nice area of the beach in Cap D’Agde, so follow the signs, hire some deck chairs and even check out the great lunch they make at the beach bar. Paradise for the kids. Outdoor water park with a large pools and several large slides & waves, plus a shaded relaxation area to hang out. A wonderful day for the kids and the whole family with all they could ever wish for in a water park. Let the kids splash around while the adults can enjoy the local harbour and the many lovely shops and restaurants or just relaxing by the pool. The most amazing bakery where your bread is still hot. See the bakers baking in the shop and order the freshest and best croissants you have ever tasted. Probably one of the best wine regions in all of France. Saint-Chinian vineyards cover some 3,300 hectares and home to 450 wine producers including 110 wineries. Nestling in the foothills of the Cévennes, northwest of the town of Béziers. The vine was planted in Saint-Chinian as early as the 8th century by Benedictine monks, and along with olives, Languedoc is still a one of the best source of characterful, good-value wines and none more so than Saint-Chinian. There really is no more logical place to start a visit, than the village of Saint-Chinian itself. There’s a local market here on Sundays and Thursdays, set in the shade of the typically arboreal village square and once your basket is flowing over with local temptations such as goats cheese, figs, meats and honey your next stop has to be the Maison des Vins, just across the road. Apart from the fact that you can try or buy some 300 wines of the region here (and if you buy, it’s at cellar door prices ranging from €6 to €40), the Maison des Vins is owned by the AOC Syndicate. The staff (who include a very talented photographer Gaylord Burguière) have an encyclopaedic knowledge of their wines and an obvious passion for their landscape and here is the place to taste, plot and plan the different wineries that you’d like to visit during the course of your stay. They can help you with maps, arrange tastings and organise for you to meet the vignerons or wine producers There are rich pickings here for the wine connoisseur with an abundance of different grapes, blends and processes, Saint-Chinian offers gorges, dark fruit, spice and garrigue-scented red wines that are underpinned by a refreshing mineral edge. Saint-Chinian is Languedoc's oldest winemaking region. Today wine lovers can buy with far less trepidation, as the wines have never been better. The perfect introduction to the Canal du Midi: a boat ride from the pretty little port of Capestang, with a picnic accompanied by a bottle of wine, which was made locally in Saint-Chinian. Like many others, you will fall in love with the Canal du Midi. The love for the canal dates way back, when the changing flavours and rich aromas of the dishes of Rich Stein’s “French Odyssey”, as he sailed his way to the Mediterranean. This featured the canal on the “must visit” list. Starting in Toulouse, the Canal du Midi meanders its way through the southern French countryside and vineyards to the Mediterranean Sea near Sete. The canal is massaged gently by willow, plane and poplar trees and an abundance of wildlife, flora and fauna. It stretches for 150 miles and took 12,000 people 30 years to build! Back in the 17th century, it was considered to be one of the greatest works of construction ever. How can you not go visit it now? Its main purpose back then was to transport wheat, wine, silks and other textiles. Today, it is a UNESCO World Heritage Site, and main purpose is to awe and impress. The Canal du Midi is hedonistic, soothing and inspiring all at once. There cannot be many better places in France to whisk away to for a few hours. For just €40, you can slip into the serendipity of this French icon on a cute little electric boat, which you can hire from the Tourist Office. Alternatively, you can hire a bigger boat and spend a few days enjoying the peaceful life sailing through the lock. 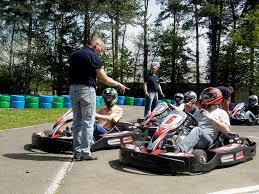 Drive 1/2 hour to Rodex or Le Puy en Valay to see the race. Starting on July 1st in Düsseldorf, Germany, the 2018 Tour de France will be essentially a discovery of the hilly and mountainous parts of France, i.e. concentrated in eastern France and the south of France. The Tour de France will take them through the wooded hills of the Vosges, then into the Jura mountains of Franche Comté and the steep pre-alpine hills of the Bugey. the Tour then moves to the Dordogne, for a first rest-day at Périgueux, before crossing the plains ofAquitaine, to reach the Pyrenees. There will be just two days in the Pyrenees this time, including the shortest day's leg of the tour for many years, on Friday 14th, after which riders head north again from Blagnac (on the outskirts of Toulouse), through the Tarn and the Aveyron to Rodez, on the 15th July last visited in 2015. After a trip over the high plateaux of the Lozère, one of the most sparsely populated areas in France, riders will take a second rest day 16th & 17th July at the delightful small cathedral city of Le Puy en Velay. Next day will take them across the Monts du Forez , the eastern range of the Massif Central, and on to the Rhone-Alpes region, for a day in the northern Alps. After that, it's a day in the Provence Alps and another in High Provence, before a day in and around Marseille, before the traditional final day with a finish along the Champs Elysées in Paris. Click here for tour map. If your a beginner or an expert fishing (angling) in Languedoc Roussillon, South France is excellent - thanks to the variety of fish species. Hundreds of rivers, streams, lakes and etangs (salt-water lakes) are full with a wide variety of fish - from Trout to Eels. 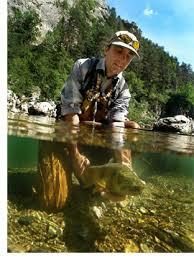 You have to have a fishing pass to fish in Languedoc (Carte de Pêche Vacances). It's valid between June 1st and September 30th. You can also buy daily or weekly licences at tabacs (newsagents) for various spots or from "Armurerie des Monts d'Orb" just down the road. The owner is very helpful and can help and give you advise and on the best places to go. 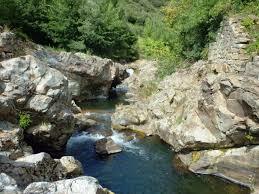 Some of Languedoc's rivers and lakes are protected and certain species can be only be fished between different times. for more information click here. 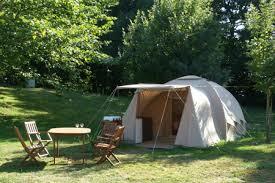 Picnic or camping on the land. 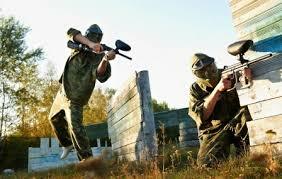 What better way to spend family time relaxing together, enjoying the land and scenery. 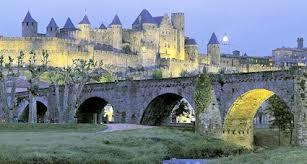 Carcassonne Cité is one of the medieval gems in southern France’s crown. 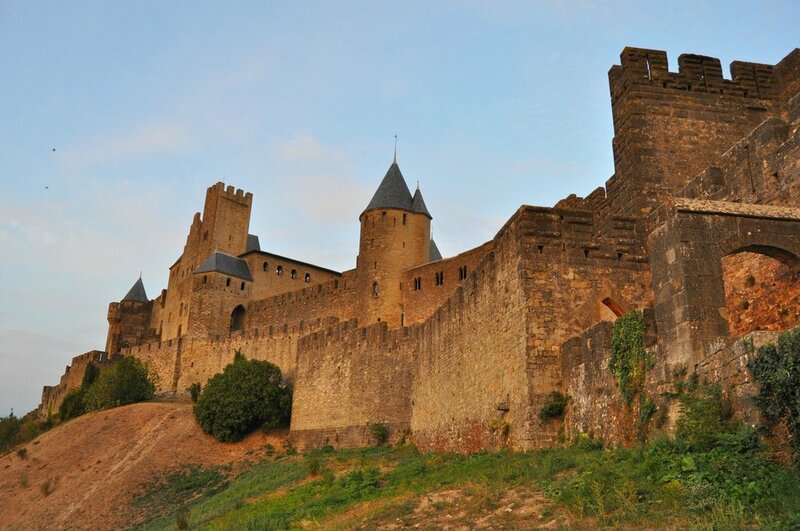 Discover the legend of Lady Carcas, who battled to save Carcasonne in the 8th century. You can walk along the city walls to admire the mighty Roman towers, and enjoy panoramic views over the rolling hills beyond. Walk along the old-fashioned cobbled streets and marvel at the 13th century stained-glass windows in the St. Nazaire Basilica, and see the Romanesque and Gothic architecture. 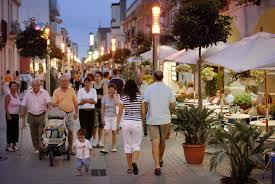 There are also plenty of little boutiques and restaurants to enjoy. For the film lovers, the old Cité was used as a location in the 1991 film Robin Hood: Prince of Thieves, starring Kevin Coster. 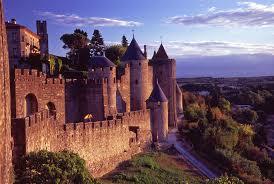 Carcassonne is a lovely hilltop town in southern France’s Languedoc area. 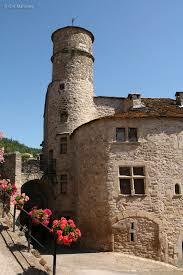 Its famous medieval citadel, La Cité, consists of numerous watchtowers and double-walled fortifications. 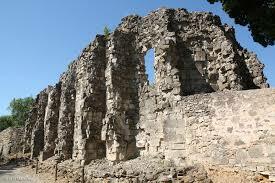 The first walls were built in Gallo-Roman times, with major additions in the 13th and 14th centuries. 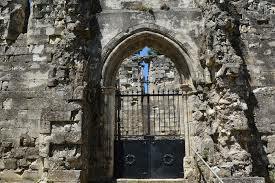 Chateau Comtal, a 12th century castle within the Cite, offers archaeological exhibits and a tour of the inner ramparts. For more information and a film click here. Horse riding centre - EURL lES FRÉNES. Drive 10 minutes. Whether you are a beginner or an experienced rider the equestrian team Les Frênes invites you to improve your skills in horseback riding from leisure to completion. 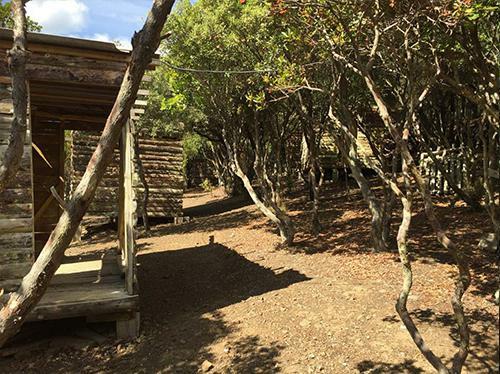 The Equestrian Centre is a small structure of 4ha with 3 quarries, 12 boxes and Paddocks for their boarders, nestled at the foot of the Caroux in the town of Lamalou-les-Bains. EDWIGE KOCHANEK and CERF MARION (manager) welcome you to introduce you from 5 years of initiation to advanced training, if you wish to participate in competitions or prepare your certificate of professional qualification you can also join them for walking or hiking in the beautiful region of the Hauts-Cantons and discover its natural park. 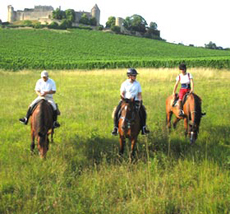 The stables are approved FFE and labeled Cheval Qualité France. Its qualified and passionate team can guide you whatever your age and your desires offering your children unforgettable moments. 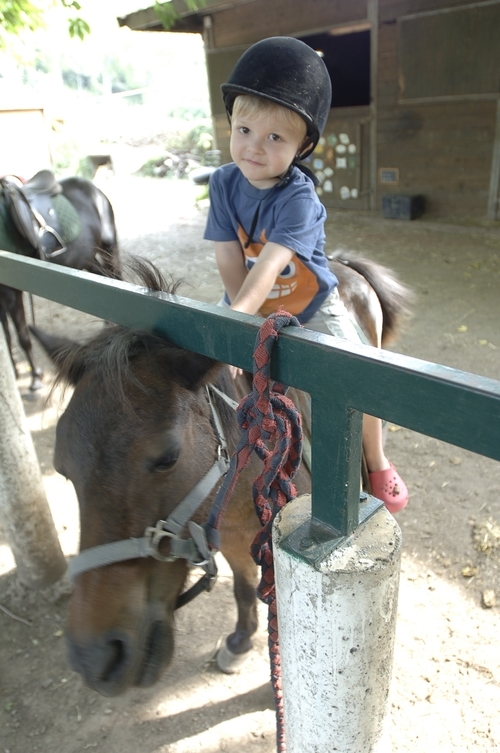 The Equestrian Centre can offer a varied range of services, which will satisfy all the enthusiasts of horses, small or big. Enjoy their high quality facilities every season. 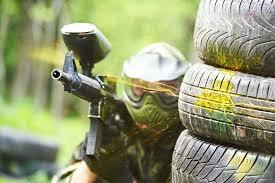 Go Karting & Paintball - Circuit de Karting Caussignojouls. Téléphone : +33 4 67 01 48 13 or Mobile : 06 70 58 89 78 Opening 7 days a week. 10:00–12:00, 14:00–19:00! 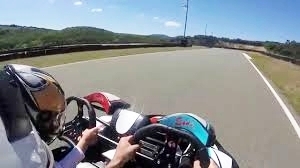 Get ready for the ULTIMATE Go karting adrenaline rush at speeds of 30mph with hairpin bends, and plenty of straights, opening up on the throttle for the most high-tech and tense experience. This is your opportunity to test your karting prowess, The circuit is 1100m long by 8m wide and discover the power of karting on a 270cc Sodikart with one seater and two-seater and child karts. A magnificent setting dug in the schist, surrounded by the hills will make you fully enjoy this moment of pleasure! Enjoy the panoramic covered terrace with views of the circuit. Taste the cuisine faithful to the local products at the restaurant "Le Paddock". 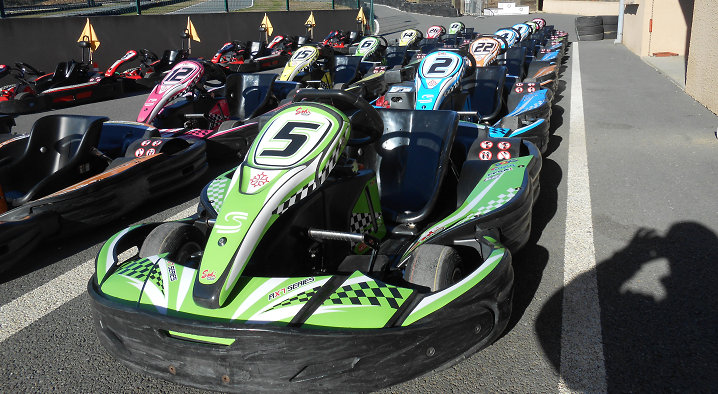 NB The karting at Caussignojouls does not accept payments by credit card. 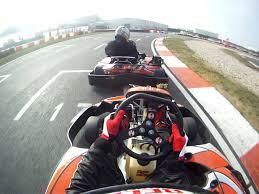 Competition racing for the experienced drivers over 16 years takes place on Sunday mornings, €50 per driver. Event starts at 9:30 am. Briefing then 8 tournaments. Semi-Finals 10 laps and then final 10 laps. 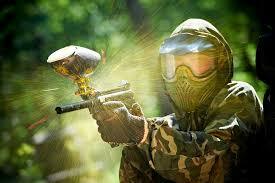 Paint ball price is €20 for 100 balls with equipment and €5 for the refill of 100 additional balls. Why not extend your trip and spend a night or two in this amazing city. 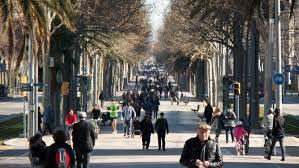 Barcelona is one of the most exciting cities in Europe. The vibrant capital, mediterranean sunshine and beautiful beaches make it one of Europe’s most exciting cities. 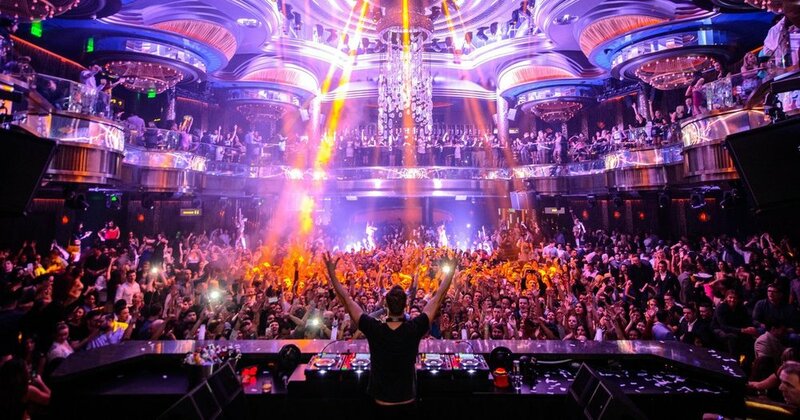 High-quality food and tapas bars, unique architecture and its 24-hour buzzing nightlife. 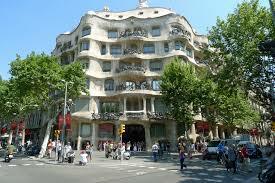 The compact Ciutat Vella (Old City) has some of Europe’s best-preserved Gothic architecture, and Antoni Gaudi’s Art Nouveau buildings have now become icons of Barcelona. A population of over one and half million people, this beautiful city is full of what European cities are known for and is fantastic for just walking or cycling around and taking in the atmosphere with an extensive and reliable Metro system. 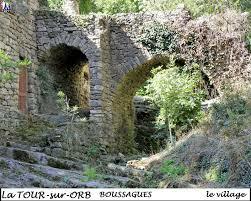 Boussagues, 34260 La Tour-sur-Orb, France. If you want to go back in time, this village is for you. Boussagues dates back to the middle Ages, from the XIIth to the XIVth centuries, when the lords dominated this part of the Hauts Cantons thanks to the surrounding mineral wealth. Built on the foothills of the Cévennes and on the hillsides that dominate the Orb valley and protect it from the Greek and the Tramontana, a visit of this village is a journey through the last two millennia. The village has 2 churches. The parish church of Notre Dame de la Pitiée at the bottom of the village and located on the edge of the stream. 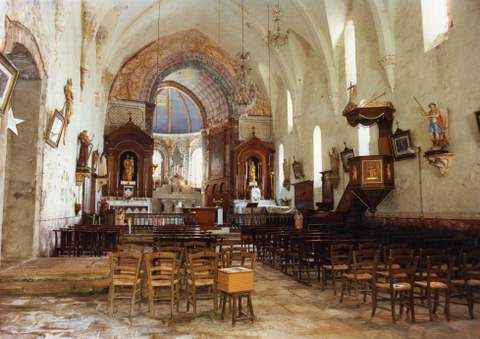 Its nave was rebuilt in 1520, after being destroyed as a result of a flood. The house of the bailiff is at the heart of the village and is integrated in the north to the ramparts. Its construction dates back to a party to the century (the tower and its pigeon house to boulin) until the xv° century (South face). A perfect all year-round place for all ages to visit. Grotte des Demoiselles is a spectacular underground world. Hop on to the 1st open underground tourist funicular in Europe and begin your journey to the top of the mountain. This breathtaking adventure will take you through caverns with stunning giant stalactites and stalagmites, translucent draperies, calcite flows and as you descend to the impressive cathedral cavern measuring 120 meters long and 52 meters high, the "Mother-Child" nature-made sculpture and the "organ pipes" will come alive and sparkle thanks to the new lighting system installed last year. During your visit, your guides offer valuable and captivating information on science, history and geology with funny anecdotes and unforgettable stories. Audio guides are also available in a number of languages. After your underground visit, soak up the beautiful views of the surrounding mountains while enjoying a quick meal or snack on their panoramic terrace. 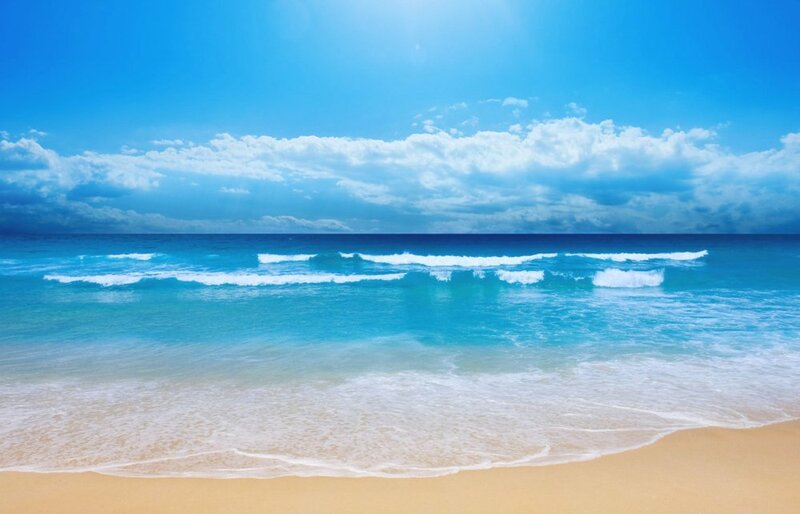 Just the perfect way to contemplate these natural treasures and share your pictures and impressions. 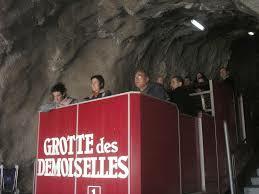 Grotte des Demoiselles also have concerts, shows, workshops and special tours. There are excellent dining possibilities in this magnificent region as well as rock climbing, para-gliding and hang-gliding. 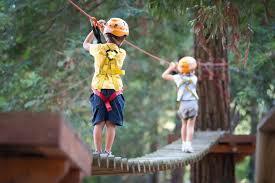 Adventure playground in the trees - Arbre et Aventure. Drive 10 minutes. The kids looking for some adventure? 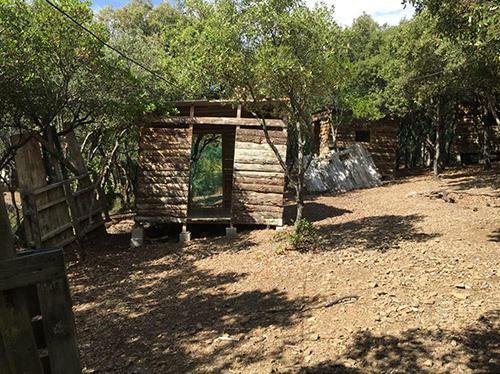 Located in Bédarieux, in the heart of the regional Languedoc park, Arbre et Aventure is your adventure course for the whole family. 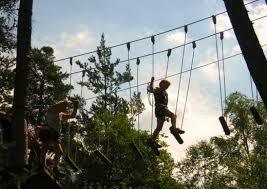 Experience a moment of adventure in the trees, safely. The Park is open from April to October. Drive then please follow the indications "Parcours Santé " or "Parcours Aventure dans les arbres". 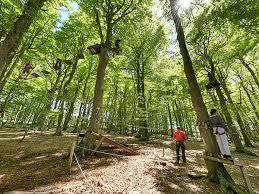 From the roundabout of the road to Béziers, go about 3.5km on the road of Pézènes and enter the forest on your left.